I hope that you all enjoyed the free mini class Mastering Zipper Techniques from Craftsy. I have been sewing some autumn separates and the wonderful tips that I learned really made a difference in my finished garments. Today, I have a wonderful GIVEAWAY for the online class 40 Techniques Every Sewer Should Know. Pressing tools and techniques that every professional uses. My grandma always said that you can't sew without an iron and Gail teaches us to look at your iron in a whole new light. Advanced stitching terms made simple to prevent pull in the fabric, gaping necklines and hide facings. We also learn how to sew perfect top stitching- a must for the vintage girl sewing jeans and autumn coats. Handle fabric carefully while sewing curves to help the fabric lay nicely on the body. 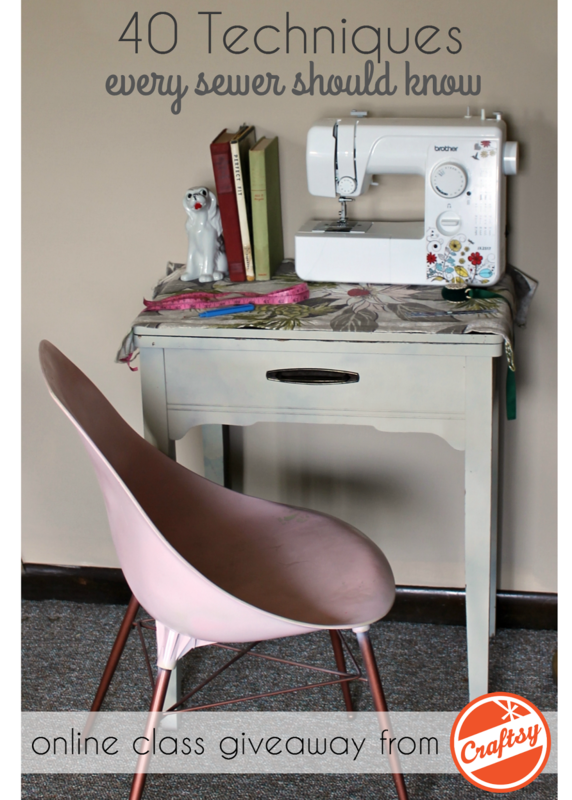 Also learn the easy way to finish curved seams and fiddly corners for a really clean finish. Choose the right interfacing for the job to reduce wrinkles, sheerness and providing a good drape or stiffness to the fabric. I will never forget how proud I was when my great grandma taught me how to set in a sleeve for the first time. Sewing a sleeve, in her book, was one of those things that every girl must know how to do. This class teaches parts of a sleeve, working with ease and gathers and finishing for a professional and comfortable sleeve. In all of my years of sewing, button holes remain my worst enemy but Gail makes it so easy to sew basic or bound button holes. Learn how to mark fabric for an even button hole every time. Craftsy online classes are yours to keep forever, so you can watch them anytime. Paid classes also provide one on one support from your classmates and instructors so if you ever feel stuck, there's a pro seamstress waiting to answer any questions. Craftsy classes are in clear HD and the production is like watching a craft show on cable. I had a little trouble streaming this video one morning but if you click on the "help" function at the top of your screen, Craftsy will check your connection for you and provide simple suggestions for better streaming based on your settings. In my experience, Craftsy classes stream beautifully in Google Chrome. 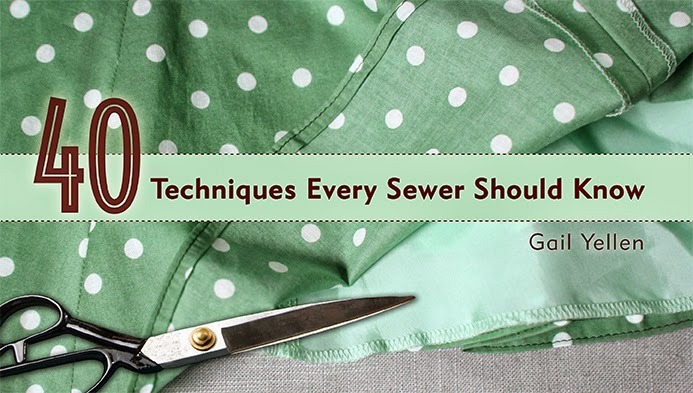 40 Techniques Every Sewer Should Know is a comprehensive class for the beginner or advanced seamstress and will leave you with the confidence to take on any project! No purchase necessary. One entry per contestant. Giveaway will close on 8/17 at midnight MT. If you're not a Craftsy member, simply enter your email address and a password to sign up and simultaneously enter. If you're already a Craftsy member, just click the link and sign in to enter. Wow!! The things I could learn...thanks for the informative giveaway!